Established in 1860 high on the next ridge just east of the Oxford square, lies one of the historic treasures of the township, The Shaw Estate. Inspired by the beauty of the natural landscape, its deep rich history and proximity to all that is great about Oxford, Shaw Place will continue the legacy contributing to the charm and grace of the community. As Oxford’s premier development, Shaw Place offers six uniquely designed architectural homes constructed exclusively by Springer South Homes. Although each home is unique, the community has been designed to fit in architectural harmony. A copy of the recorded Condominium Plat along with the recorded declarations for the home owners association are public record and have been approved for Fannie Mae financing. A copy of this information is available through the listing agent. Shaw Place Land Condominium is a six unit land condominium that provides unit owners the right to occupy and enjoy the “build-able area” defined in the recorded plat much like a lot in a platted subdivision. Unit owners can build one (1) single family home anywhere within the defined Unit’s “build-able area” so long as the design is approved by Oxford Historic Planning Commission as well as the Shaw Place Condominium Owners Association Architectural Control Committee. Unlike a traditional condominium, a land condominium allows unit owners to own the entirety of their structure “home” not merely the interior walls. So it is insured just like a house in a subdivision. Furthermore, the “build able area” of each land condominium unit, as shown on the Plat, is owned by the Unit Owner and not considered common area that other unit owners can access, subject to those certain easements for the COA and to the extent that there are shared or common driveways for the benefit of multiple Unit Owners. The only common areas in the development are those areas depicted on the condominium plat as a street/drive or the areas that separate each unit owners “build able area” which are intended for green space and utility easements. These areas are also utilized as landscape buffers that separate the land units and can be enjoyed by unit owners, but cannot be developed or otherwise improved. The Shaw Place land condominium homeowners association maintains all of the common areas as well as each unit owner’s lawn and landscape beds. This service is included in the monthly homeowners dues and includes regular lawn cutting and edging, landscape bed maintenance including weed control, pine straw application, pruning and overall plant maintenance. This approach provides consistent lawn and landscape beds for each unit owner in a maintenance free environment. Unit owners can enjoy a professionally maintained yard and landscape beds around their home in a development without the hassle of lawn maintenance. Just a short stroll to the historic Oxford square, Avent Park or the local farmers market, this newly constructed luxury home at Shaw Place Unit 101 boast an unrivaled address. Enjoy the front porch overlooking East Jackson Ave, with direct access to the city sidewalk. Outdoor entertaining at its best with an open air fireplace, built in gas grill, and beverage center.. The ground floor is open and inviting complete with 12 foot ceilings, accentuated by large crafted beams throughout this upscale home and a spectacular two story vaulted kitchen equipped with a 48” double oven and gas range, spacious island, custom cabinets and walk in pantry. Huge downstairs master bedroom suite and a second floor that includes access to the covered balcony with three spacious guest suites that offer individual private baths. Just a short stroll to the historic Oxford square, Avent Park or the local farmers market, this newly constructed luxury home at Shaw Place Unit 103 boast an unrivaled address. This home, nestled in a lush natural landscape, is architecturally designed with southern elegance and grace. Relax and enjoy the private outdoor living area featuring an open air fireplace, built in gas grill, and beverage center complete with bar and sink. Inside you will find and open inviting floor plan, complete with 12 foot ceilings, accentuated by large crafted beams and designer finishes throughout this upscale home. Genuine hardwood floors will guide you into the gourmet chef’s kitchen equipped with a 48” double oven and gas range, spacious island, custom cabinets and walk in pantry. The huge downstairs master bedroom suite includes an adjoining library complete with custom bookshelves. The second floor includes access to the covered balcony and a large open living space with three spacious guest suites that offer individual private baths. Just as the spirit of Oxford recalls all her beloved on an early, Fall Friday afternoon, Shaw Place beckons her families. Regardless, if Shaw Place is your relaxing get away or where you spend many of your days, the neighborhood embodies the comfort and jubilance of a place you’ll call home. Springer South - Superior quality coupled with exceptional southern craftsmanship. 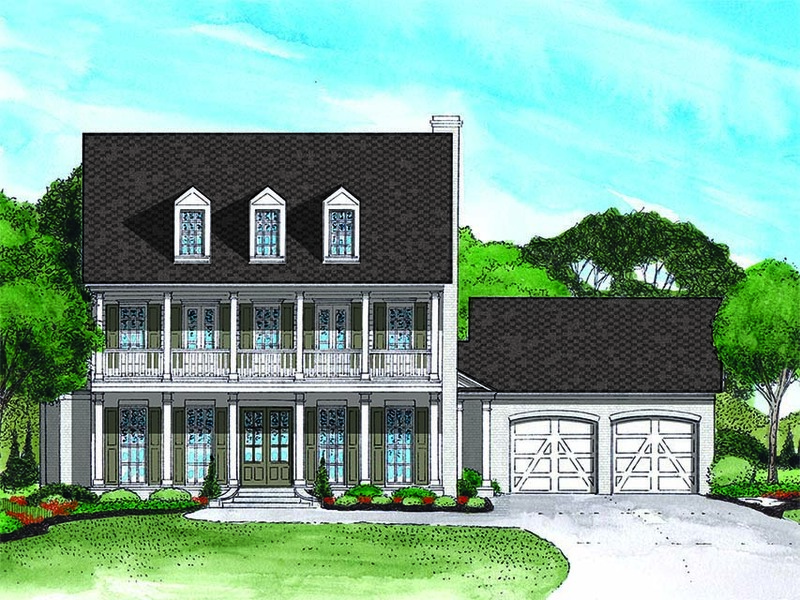 © 2019 Springer South Homes all rights reserved | Oxford Custom Home Builder | Website Powered by Mobile Command Marketing.